Awake! To the sound of rain on the tent.. The rain wasn’t too heavy so after washing I packed up the wet tent and my damp clothes. The t-shirts I had on the line were soaked through so I wrung them out and put them into a dry -bag that I turned inside out (I call this invention a ‘wet bag’). After checking out of the campsite (€13.50 + washing + shower) I got on my way and the weather got better within an hour. Along with fields of sweetcorn I am now seeing a bit of variety.. carrots and potatoes..
Quite a nice route today and a good day’s cycling. Had breakfast at a cafe in a small town at around 11. 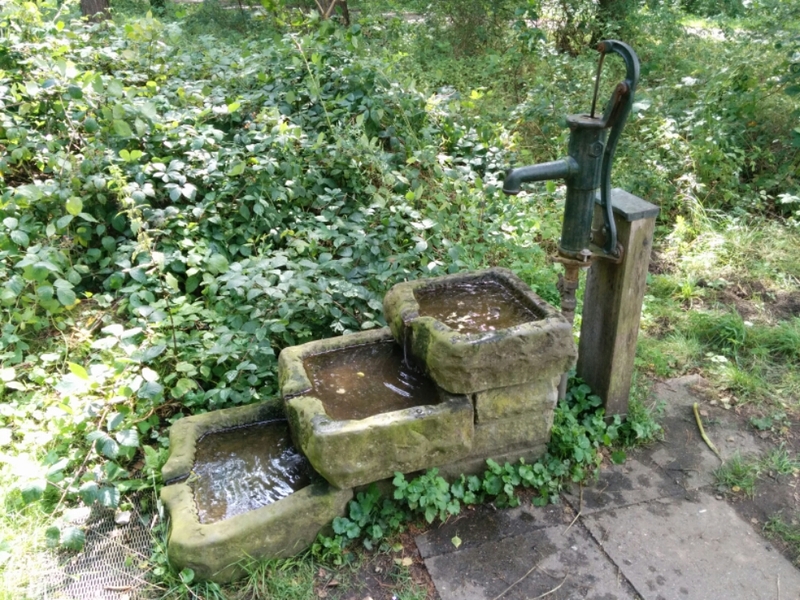 In the afternoon I passed this working water pump so filled my bottles. I found a campsite in the evening that was 23km off my route but in the right general direction, so headed for that, and popped into a supermarket along the way. I reached the campsite just before 6. Whilst putting up the tent the heavens opened. 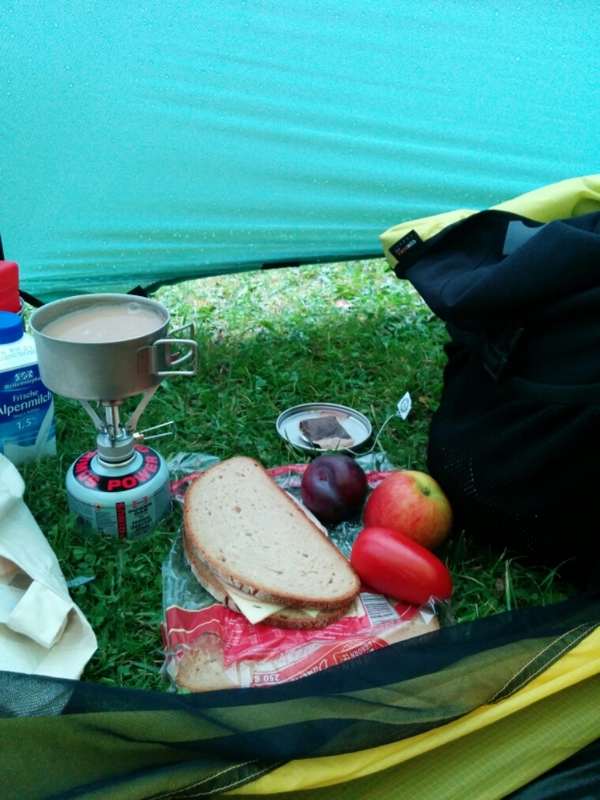 I dived into the tent, battened down the hatches, and made a simple dinner of a sandwich, some fruit, and a cup of tea with milk – luxury! 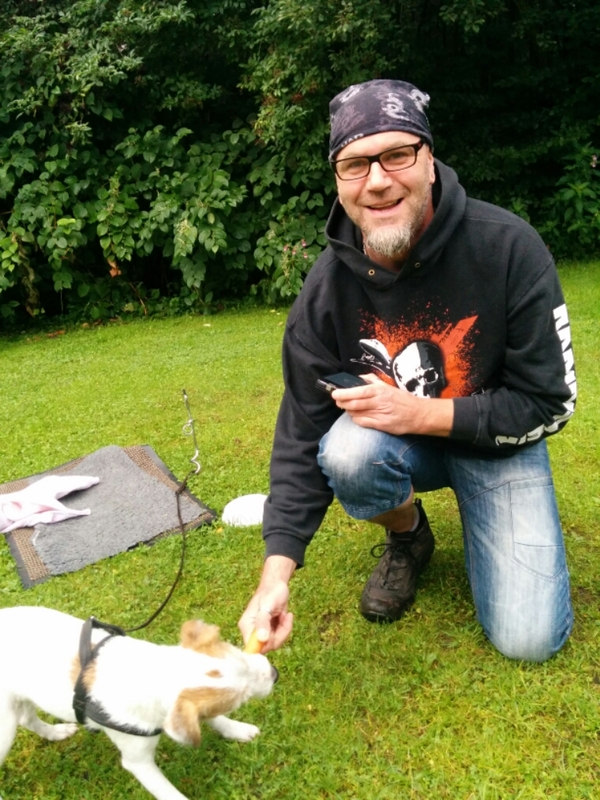 Also staying at the campsite that evening was the only other camper there, Rüdiger, and his dog Jupiter. They arrived by bike with trailer. In the evening we went to the campsite bar and had some beers, which gave both of us the opportunity to practise our English. Rüdiger has got into cycling in the last few years and is planning a cycle touring holiday to London. Sounds like a great idea! 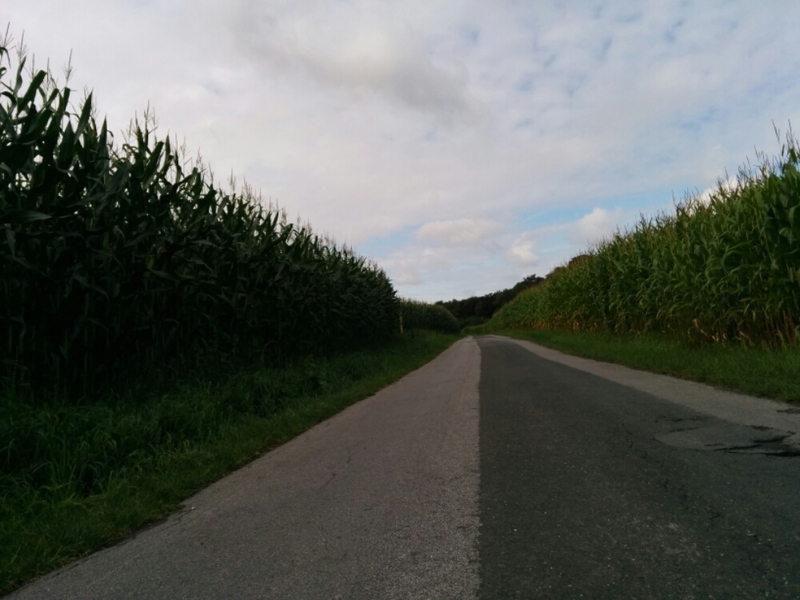 Münster to Bielefeld, 105 km. Total so far = 652 km.